Welcome to Paw Purrfection – St Annes Dog Grooming Salon. 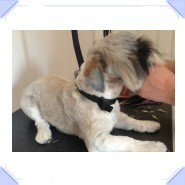 We are a friendly, modern and fully equipped salon offering a full range of professional dog and pet grooming services. All services are provided by a fully qualified groomer with years of experience within the pet care industry. We welcome all types of breeds and we give extra attention to nervous dogs. 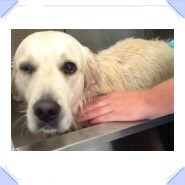 All our four legged friends receive individual attention with a one to one appointment and we do not use cages. Our salon has the latest professional equipment so we can offer the best possible grooming experience for your dog. 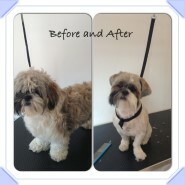 We will always discuss your dogs grooming needs before we undertake any grooming and a full health check is carried out. The salon is based between St Annes and Ansdell just off Church Road, with ample parking outside the shop. We do also offer a collection and drop off service throughout the Lytham St Annes and Blackpool areas.